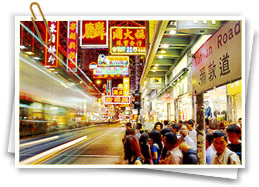 Hong Kong is best known as a shoppers' paradise. 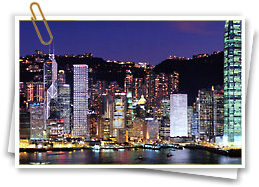 However, there is so much more to Hong Kong than shopping. This dynamic and vibrant Cosmo polis is a fusion of many cultures. 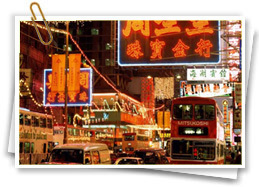 Remnants of its colonial past and the British culture and values, share space with the Chinese tradition. 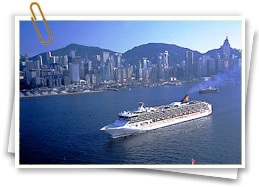 Visitors will have no problem getting around Hong Kong. English is widely used throughout the islands and almost all the street signs are bilingual. 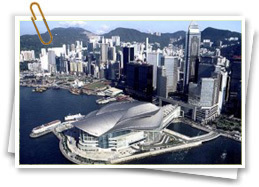 Hong Kong offers a host of memorable tourist attractions within its compact area, with The Peak, Victoria Harbor and the Giant Buddha among the most awe-inspiring. You'll be amazed by the diverse contrasts and close proximity of stunning cityscapes and soaring mountains, heritage sites and extensive green countryside. Enjoy a leisurely daylight cruise around the spectacular Victoria Harbor or take a night cruise to watch the choreographed light show, A Symphony of Lights.